The growth of industrial farming and wasteful farming practices of the past century has had a huge impact on our environment and land. Between the constant growing of the same crops year after year, and the use of synthetic pesticides and fertilizers on the soil, conventional farming depletes the land. By some estimates, experts predict that there will be a lack of fertile land for farming within the next 60 years. But for as long as farms have been growing and impacting our environment, there have been those who seek to advocate for practices that work with nature, not against it. One movement aimed at creating systems that are healthy for both humans, land, and animals alike is regenerative agriculture. Through regenerative agriculture, the aim is to grow food and raise animals in such a way that the land they use is actually improved and made more fertile rather than depleted. Regenerative agriculture has been championed lately by companies like Patagonia, but it has been around since the middle of last century when the concept was first put forth by organic farming pioneer, J.I. Rodale. Inspired by his own health difficulties early in life, Rodale researched the links between diet and health and how a healthy lifestyle could help prevent disease. Through establishing an organic farm in 1940, and spending his whole life writing and publishing on the topic of how good agricultural practices lead to healthy living, Rodale came to advocate for a holistic approach towards farming. The continuing work of his company, Rodale, Inc., has carried on his support for farming methods that are beneficial for all who interact with them. Regenerative agriculture’s framework starts with the baseline standards set forth by USDA’s certified organic program and builds on them to include requirements for soil health, animal welfare, and social fairness. For soil health, regenerative farms have to actually show that their farming techniques lead to a net gain in the soil’s organic matter. There can’t be any use of GMOs or synthetic compounds, and farms have to employ crop rotation and management strategies to naturally promote healthy soil. To ensure animal welfare, regenerative farms focus on what is called the Five Freedoms, which include freedom from discomfort; fear and distress; hunger; pain, injury or disease; and freedom to express normal behaviors. Through social fairness provisions, farm workers are given good working conditions, are treated fairly, and must be paid a living wage. There are further provisions to ensure that workers have stable jobs, freedom of association and that all operations are being conducted in a transparent way. This emphasis on caring for everything and every person that interacts with the farm is a theme regenerative agriculture shares with certified Biodynamic farming. 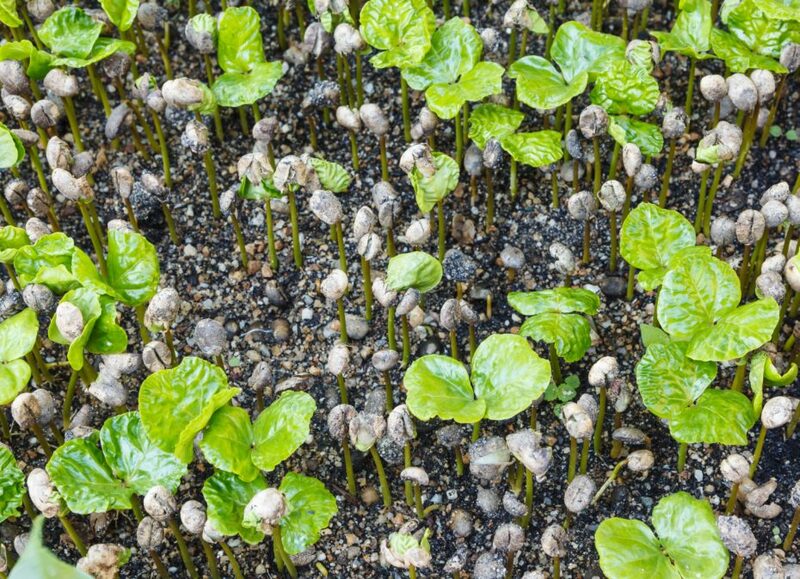 The holistic Biodynamic farming system is a protocol we at Cafe Altura are very familiar with and have helped promote through our Certified Biodynamic line of coffee. Both of these practices share an ethos of using natural means to preserve our natural resources and respect all animals and workers who come into contact with the farm. As an early advocate for organic agriculture ourselves, we have always supported movements in agriculture that emphasize sustainability and seek to treat people, nature, and crops, with care. It’s this care that makes us excited to see how regenerative agriculture continues to grow in practice and popularity. The future of sustainability in agriculture is of the utmost importance and we will always seek to encourage and support any and all strains of farming practices that seek to create holistic and sustainable food ecosystems.